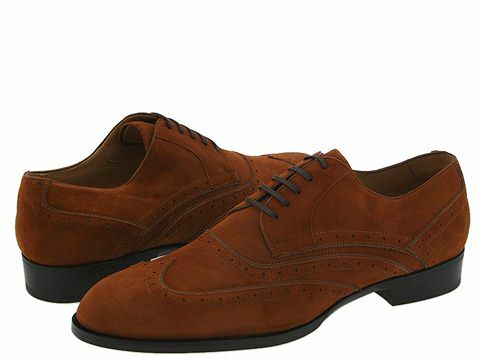 Handsome wing tip oxford shoe with perforated detailing. Suede upper. Leather lining. Leather sole. Made in Italy.